Turtle Mountain in Southwestern Manitoba. We have a Straw Bale Guesthouse, Pondhouse and camping options available. Find out more about our greenhouse and how we can help you with your garden. Find out more about our garden and greenhouse. Find out more about wwoofing and internship opportunities. Thinking about this year's garden? Order your plants for your spring planting today! 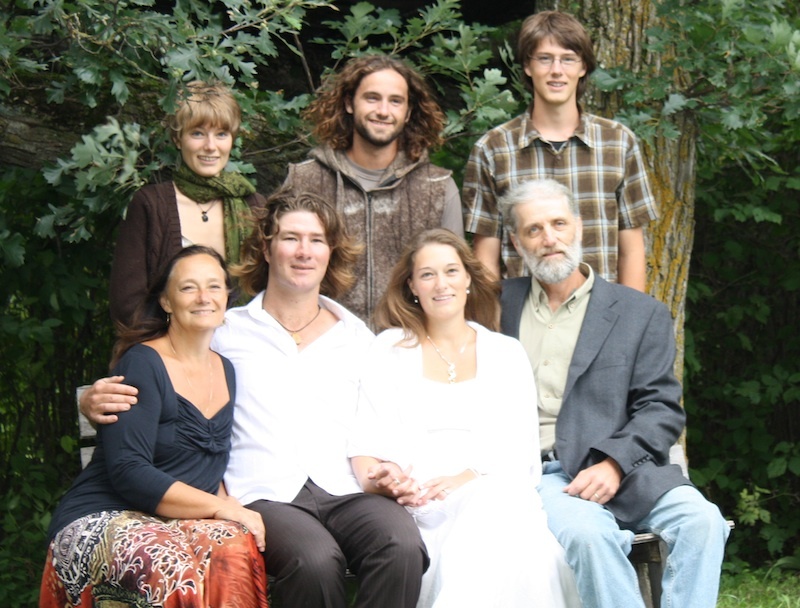 We, David Neufeld and Maggie Andres along with Kholiswa, Ezra, Teyana, Jonah, and countless friends, family and WWOOFers (traveling organic farm workers) have romanced this woodland farm (greenhouse, guesthouse, garden and guided experiences) since 1991. Our aim is to live, use and make a living on this bit of paradise while respecting and adding to the diverse wildness of the land around us. Our approach has offered us insights into ways of fashioning a simple yet comfortable lifestyle within this prairie parkland. We’re interested in sharing these insights – and learning more as we do – believing that respectful food growing/collecting is nourishing for the soul and ever more in demand in the dwindling-petroleum world. Check out our photos for more insight into what we do. Find out more about our Straw Bale Guesthouse and Pondhouse . Read about our latest house-building project and other news. Check out our photos for more insight into our woodland farm.